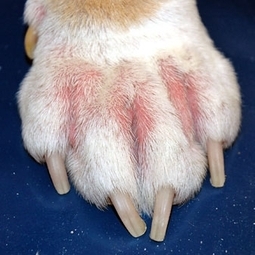 Allergy Testing - Paws 'n' Claws Veterinary Hospital, Inc.
We offer allergy testing for both food and environmental factors. Is your pet chewing or licking and his or her feet, rubbing their face, or having reoccuring ear infections? He or she may be suffering from allergies. Through a simple blood test, it can be determined what your pet is allergic to. From there, your pet will be provided allergen immunotherpy vaccines to combat these issues and give much needed relief.